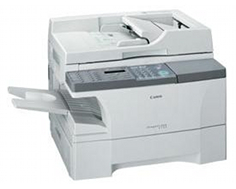 As a monochrome laser multifunctional device, the Canon ImageCLASS D780 is a slightly dated model that continues to offer certain benefits to particular buyers, such as those looking for very large paper storage possibilities in a small printer, or big fans of Canon's simple to operate single cartridge system. The two main high points that the Canon ImageCLASS D780 has to offer are its immense paper handling abilities that come standard and its sufficient fax capabilities. With a 500 sheet front loading paper cassette, paper reloads will not only be easy to process, they will be few and far between. The additional multi purpose tray is capable of holding 100 extra sheets of special media that can be slightly thicker than standard letter or legal sized paper. With a modem speed of 33.6 Kbps, the Canon ImageCLASS D780 can pull off a reasonably paces fax transmission speed of 3 seconds per page. It would be nice if a Super G3 modem was included to reduce the speed to 2 seconds, but for a light duty machine the modem seems appropriate. 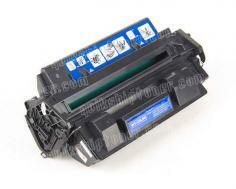 Despite a lack of overall memory included with the Canon ImageCLASS D780, its fax page memory is sufficient. 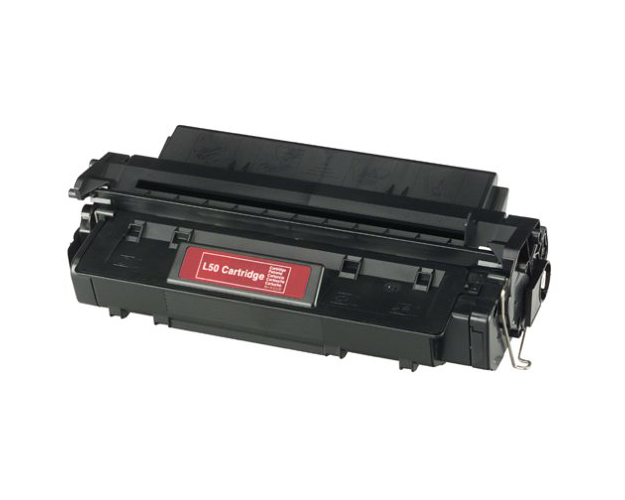 The unit can store up to 255 pages worth of data internally which can help to ensure that no data is lost in the event of a paper outage, or even a toner outage. This data can be stored as long as the device is plugged in, while a memory backup battery can store it for a few days even when its not, completely minimizing the risk of lost files. The unit's fax resolution is also, more or less, as good as it gets, which isn't really saying much in the first place, but with 406 x 392 dots per inch of ultra fine resolution, the Canon ImageCLASS D780 gives you the best image quality you're going to get over a phone line. One of the first things that pops out about the Canon ImageCLASS D780, though trivial to some, is its immense overall weight. Weighing 52.9 pounds is a lot to demand of users, especially when this is without the weight of the paper itself. Though devices such as this are rarely moved around, one this heavy could quite possibly, literally break a flimsy home office desk. The unit's dimensions are also ridiculous with a footprint of 24.5 in. x 17.4 in. x 15.1 in. (W x D x H). Though this measurement includes attachments this is still much too large for convenient personal use. The unit's overall print speed of 16 pages per minute is also extremely sluggish by most standards, and should be taken into account by any serious buyer. Review it: "Canon imageCLASS D780 "
Though the Canon ImageCLASS D780 is an older model, it still utilizes Canon's patented single cartridge system that makes toner swapping not only fast, but user friendly as well. 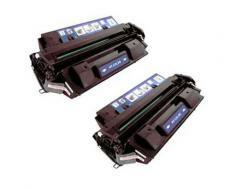 In this case, the unit uses cartridges that offer a 5,000 page yield at a fairly reasonable cost per page.